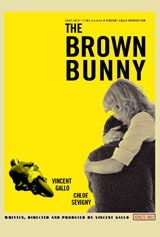 The Brown Bunny photo book features 65 photographs from the legendary film The Brown Bunny. 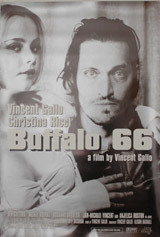 Beautiful hard bound book with white cloth covers, signed by Vincent Gallo. 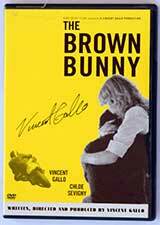 We have a very limited quantity of Vincent Gallo's notorious film The Brown Bunny on DVD. This is the uncensored USA version. Cover signed by Vincent Gallo. 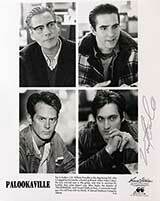 Signed by Vincent Gallo. Sealed, Extremely Rare and Out of Print! Sealed,Very Rare and Out of Print! Rare and Out of Print! Very rare and Out of Print! Only a few left from a very limited print run! Only a few left posters from a very limited print run. 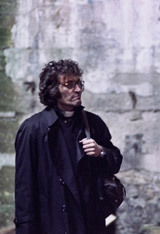 Bud Clay's racing motorcycle suit, as worn by Vincent Gallo in the film The Brown Bunny. 8x10 publicity photo for Palookaville film release. One of A Kind-Only One Available!